Walking through a local herb farm really gets me going in a creative way. Just the smell of the herbs and their aroma takes me to a different place. I have a small courtyard garden with mostly raised beds. This is where I grow all of my herbs, which is just outside my kitchen door and is easy access for fresh herbs while I’m cooking. My passion is to grow herbs organically, which is not all that difficult. If you currently are not growing your own, hopefully this article will encourage you to try your hand at starting a small herb garden near your kitchen door. Pick up a copy of a gardening book that specializes in herbs for growth in your region and you will see just how easy it is to grown your own. For me, strolling through what once was a 16th century herb garden in England truly brought to life the fact of how long mankind has been using herbs for many purposes. Even in biblical times herbs were mentioned for medicinal purposes. Visiting a place like the English herb garden reinforced my love of herbs. In Elizabethan England (and for previous centuries), one of many uses of herbs was to strew them on the floor so that when walked on, they emitted their fresh aroma. The House at Old Vine is the second in the 'House' series. (See my review of the first book, The Townhouse, here.) It is broken down into six parts, each telling the stories of the house's inhabitants through the decades from the end of the fifteenth century until the end of the seventeenth century. 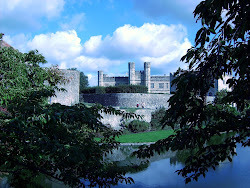 Josiana Greenwood's story opens her story in 1496 in Suffolk, England. Josiana is cruelly treated by her grandparents. She is the result of an illicit affair with an unnamed man, and suffers along with her mother. One day her mother rescues Josiana from an arranged marriage that would financially benefit her grandfather. She takes her to the priory at Clevely where she is taken in by the nuns and lives a quiet and peaceful life until she meets Walter, the love of her life. This is where her life changes drastically. Part two picks up with Elizabeth Kentwoode telling her story and shows the love and devotion she has for her grandfather, until he makes a grave mistake one day by not defending her actions. Even though she is only a child, she never forgets what he does. Elizabeth's response to this turning point causes a sequence of events that alters her future in ways she cannot fathom. The year 1620 begins part three with Barbara Hatton who becomes a Kentwoode by an arranged marriage which takes her to live in the Old Vine. Her marriage to handsome John Kentwoode has a fairytale-like beginning, but soon turns to disaster. Antony Flowerdew's story envelops part four in 1645 as he tells of being a spy in the Rahabites organization. His journey takes him to Baildon and to the Old Vine and becomes involved in the inhabitants lives. Part five is about Ethelreda Benedict and the most unusual way she eventually becomes a part of life at the Old Vine. She comes from an isolated swamp are where she has been raised by her father. Their lives are filled with superstition and pagan worship until she ends up in Baildon and learns a whole new way of life. Oliver Stanton's story ends the book with part six. He is drawn to Baildon where he attended school as a boy at the Old Vine. He is destitute because of the hard and willful hand his father had over him, which he finally refused to live under any longer. His father's marriage arrangement to a woman he does not love--forcing him to abandon the woman he is in love with--pushes him over the edge. He leaves home with nothing and seeks out his old teacher, Mr. Flowerdew. Life is hard, but fulfilling, until circumstances surrounding Ethelreda complicate his life. I love the way Norah Lofts weaves her stories. At times, I grew weary of all the sadness and hardness of life revolving around these characters. Times in these centuries were hard, but so is life today. We have merely traded it for a different kind of hardship. Overall, I have really enjoyed reading both of these novels. The third and final installment, The House at Sunset, covers from the eighteenth to the twentieth centuries. I look forward to see how Ms. Lofts ends her tale of all the inhabitants of the Old Vine. Her historical details of each era is fascinating and I have learned a great deal about life in those times. The social, physical, and religious elements are so informative. It's amazing how these things progress from generation to generation, and she expresses it so seamlessly. Recommendation: I would recommend checking out other Norah Lofts' works. You can find them here. Have you read Norah Lofts? What did you think? Do you have any books in this genre to recommend to me? Stranded in 1353 Cornwall, American graduate student Bethany Lindstrom knows she must find a way back to her own time or face a life of falsehoods and peril. For more about this book, click here. Where did the idea come from for Seasons in the Mist? I first wrote this book in the early 80s, after I'd spent a week in Cornwall. I had all the time to ramble, inspect, dream that I wanted. I visited an area near Truro that had a tiny area with lumps of stone -- obviously it'd once been a building, but there was no clue what it had been. My imagination made it a ruined chapel near a holy well. The book built itself around Michael and Bethany's visit to that well. Have you visited any of the places you write about in this novel? See above. I love Cornwall. Tell us a little about Book Two in your series, Seasons of Reckoning. RECKONING tells the story going forward, the same year in the present but three years on in the past (time travel has some funny rules). Marcus Richards, Bethany's college professor and mentor, travels to England to find out what's become of Bethany. He deliberately uses the portal, believing she's traveled in time -- and then the fun begins. 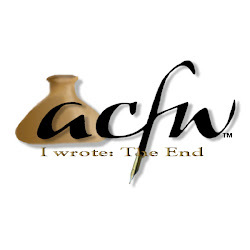 In 2012, you began a new series called The Faith Box, with the first entitled Peaceweaver. You now have two more books in that series to be released this year. Will you tell us the basis of this series? A shameless borrowing from a friend of mine who told me of a "bag o'religion" some of her buddies shared. The bag became a box -- a reliquary -- in my imagination, and the "Faith Box" series was born. I wanted the first one, PEACEWEAVER, to tell the story of a young woman sold against her will into marriage, before the year 1000. The next two books, THE HEALING TREE and WHEN THE ROSES BLOOMED, tell the stories of the young women who inherit the Faith Box and the challenges of faith they face. If you could choose actors to portray your main characters, who would they be? I love Amanda Seyfried and several of my characters "look" like that. For the guys, they do always seem to look a little like Matthew McConaughey or the younger Alex Baldwin. I like the tall, boy next door types. Fourteenth century like Beth, or perhaps another? Wow, that's tough. Probably 10th century -- the 14th is too dangerous, with all the famine and plague. Of course, if you read Connie Willis you realize that every century is ranked a "10" for peril, warfare, and human beings being vicious toward one another, so maybe there's no way to choose. If you could choose any location in the world as your writing spot, where would it be? Cornwall. Definitely. The north coast, where the valleys snug in between the cliffs. I don't know if that house is still there, but there was a tiny B&B in a house once owned by Claude Rains, the movie actor. I'd live and write in that house near St Agnes. Is coffee your preferred drink or do you care for a spot o’ tea? Both, actually. Though don't bother talking to me before my first cup of whatever in the morning! For more information about Deb and her books, visit her website at www.debkinnard.com. 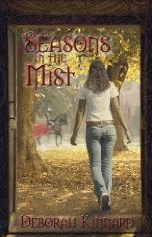 To read my review of "Seasons in the Mist," click here. Deborah Kinnard is now added to my favorite authors list. Seasons in the Mist is told through the eyes of Bethany Lindstrom, a twenty-first century graduate student of Medieval history. Her first trip to England is a dream come true. As the flight approaches London, her seatmate can't help but notice Beth's enthusiasm. She and Beth got to know one another on the long flight to London. Sheila is returning to her home in Cornwall after a business trip to Chicago. When Beth's ground transporation is not there to meet her, she is panic-stricken. Sheila rescues her by asking if she would like to come home with her to Cornwall for a couple of days. Beth's decision is make when she learns that Sheila's family owns Mossock House--a medieval manor home that is widely known. The morning after her first night at Mossock House, Beth rises early and decides to explore the ancient home. Her stroll takes her to one of the oldest parts where she encounters something that will transport her back to fourteenth century Cornwall. Beth experiences all the good, and bad, that fourteenth century England has to offer. Including King Edward III's court. She meets Baron Michael Veryan and eventually falls for him. Lord Veryan's half brother, Cadwr, appears with ulterior motives that create more intrigue which weaves throughout the story. The only person Beth holds dear in the future is her mother. Yet she longs to stay with her newfound friends--and her new love. What will she decide? And does she have a choice in the matter. This journey has drawn her back to faith in God. She confesses she has been absent in her faith and feels God calling out to her through this experience. What is it He is asking of her? And where does He want her? Deborah Kinnard draws the reader into fourteenth century England in such a way that makes you feel your presence there. You experience the day to day chores, struggles, politics, and essence of life there. I also love the faith aspect she includes in the telling. 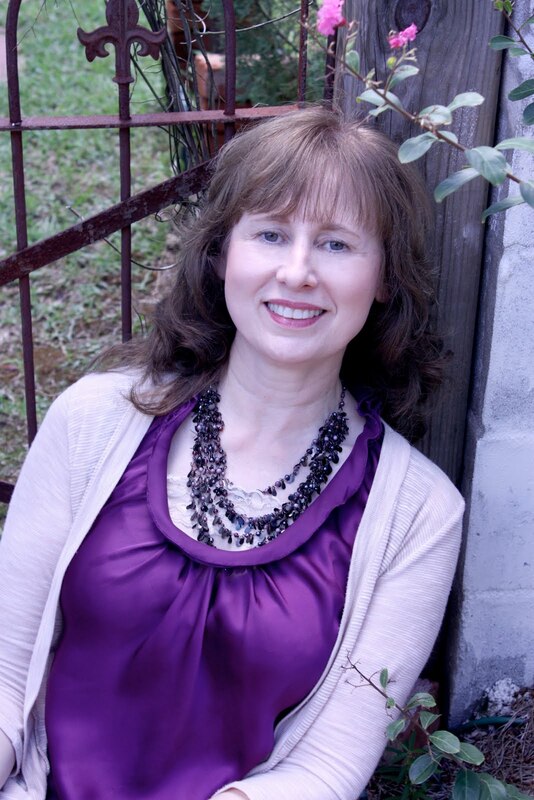 For more information about Deborah and her books, visit her website, http://www.debkinnard.com/.